This text will provide an agriculturalist. 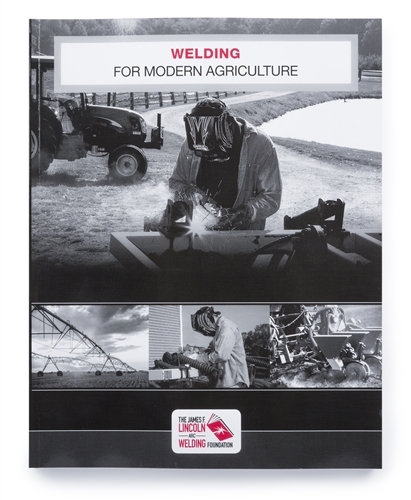 a home hobbyist or novice welder with a basic working knowledge of the most commonly used welding and cutting processes. Topics include safety in welding, setting up and equipping a welding shop, basic metallurgy and metals identification, and essential principles and practices of welding and cutting processes such as gas metal arc welding (GMAW), shielded metal arc welding (SMAW), flux cored arc welding (FCAW), gas tungsten arc welding (GTAW), plasma arc cutting (PAC), and oxyfuel cutting (OFC).